Decomposition for kids | What happens when living things die? Decomposition - What happens when living things die? Decomposition – What happens when living things die? What will go under the process decomposition on Earth? Living things. These include all plant and animal matter which involve in decomposition. E.g. – A log was once the trunk of a tree. Now it is dead and decaying. Why the Earth is not covered with the bodies of dead animals and plants? The nature has a way of disposing (transferring to another) of dead things. There are some tiny living things that feed on dead animals and plants bodies. Therefore, the dead animal and plant bodies gradually start to go under the process, decomposition. So, the Earth is not covered with the bodies of dead animals and plants. What is meant by decomposition? This is the process by which living things are broken down into a much simpler form of matter. Also, we call this rotting or decaying away. 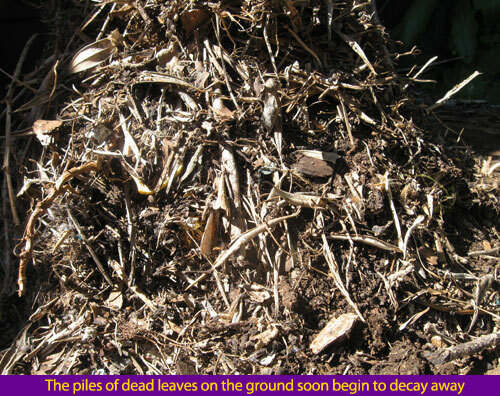 Do you know that shortly after death, bodies of living things begin to decompose? Decomposers are the organisms that feed on dead plants and animals. Decomposers are the last link on the food chain. How do decomposers decompose dead plants and animals? First decomposers such as bacteria and fungi produce a liquid that slowly dissolves the dead plant or animal they are feeding on. Then they absorb this liquid back into themselves. However, it can take a long time for a large plant or animal to be decomposed away than dead leaves. 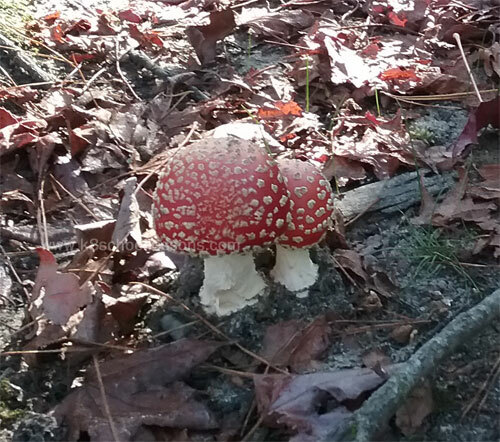 What are helpful to decomposers in the process of decomposition? Invertebrate animals (animals without a backbone) such as Woodlice, millipedes, earthworms. These invertebrate animals break up the dead leaves on the floor of a wood into small pieces. 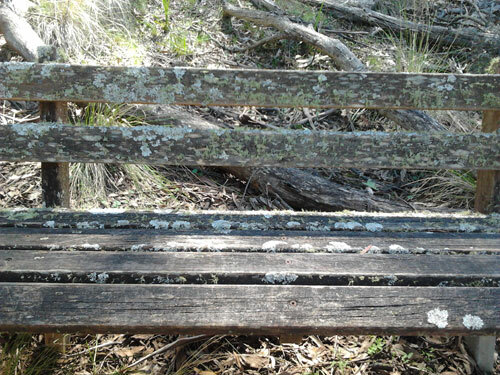 Why is decomposition very important in our environment? 1) Earth won’t be covered with the bodies of dead animals and plants. 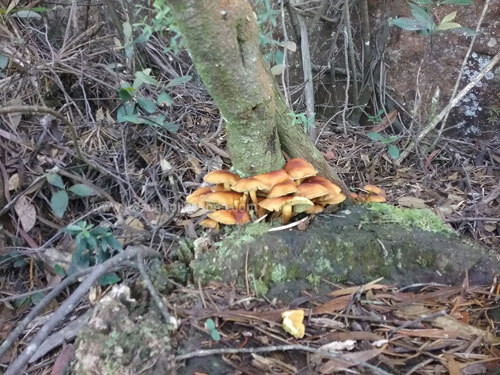 2) Decomposers return the energy and nutrients of the dead bodies to the environment. 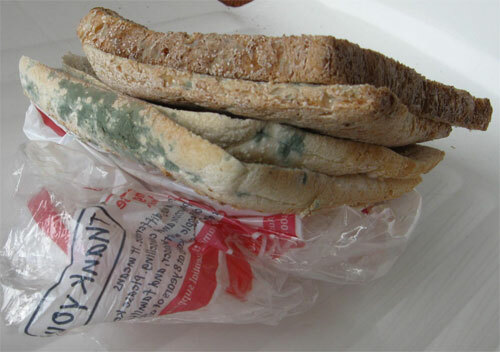 1) Stale bread and fruits go brown or mouldy (Covered with or smelling of mould) when it starts to decay. 2) Many deciduous trees lose their leaves in winter. The piles of dead leaves on the ground soon begin to decay away. E.g. – 1) You can see the skeletons of leaves of a tree left on the ground. 2) Fallen logs feel soft and crumbly where they are decaying away. Micro-organisms are very tiny living things that can be seen only with a microscope. What is the other name given to microorganisms? What are the examples for microorganisms or microbes? Germs are micro-organisms that cause diseases and make us ill.
Micro-organisms can live all around us, in the air, in our bodies and in water. Some micro-organisms are harmful to us, but others are helpful to us. Mushrooms – Some mushrooms are edible. 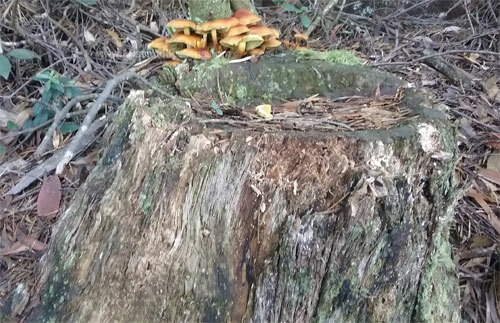 There are many colourful kinds of fungi which are poisonous, although they do help materials to decay away, but you cannot eat them. 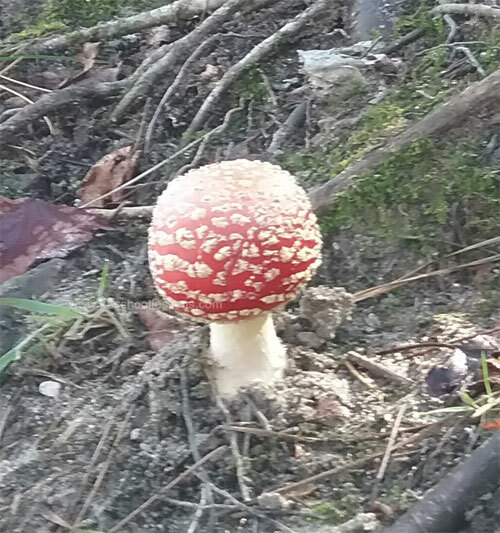 Toadstool is a fleshy mushroom, which is also a spore-bearing fruiting body of a fungus. 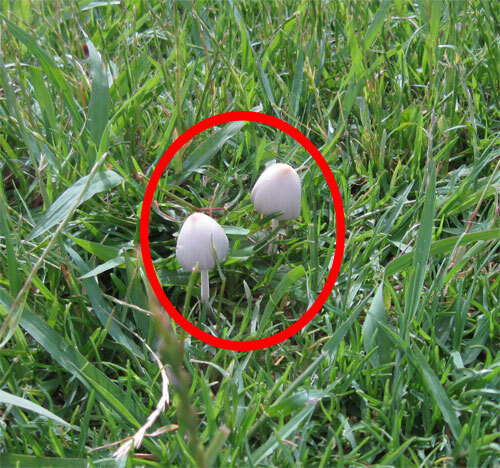 You can usually see toadstool above ground on soil or on its food source. 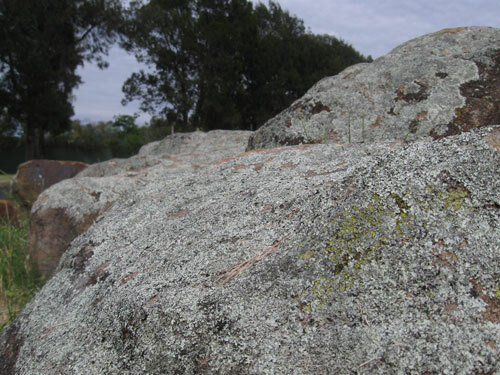 Moulds – Moulds are small fungi, which cause bread and other organic materials to decay away. Compost is a mixture of decomposing matter. It improves the quality of soil and makes soil fertile. How can we make use of the bacteria and fungi that decompose waste material? The waste material pile is built by layering different kinds of waste in a bin. There are spaces between the layers for air to circulate (move around the bin). Also, the waste material pile needs heat for rotting and killing all unwanted organisms. The material decays faster if the, heap is turned and mixed up every few weeks. 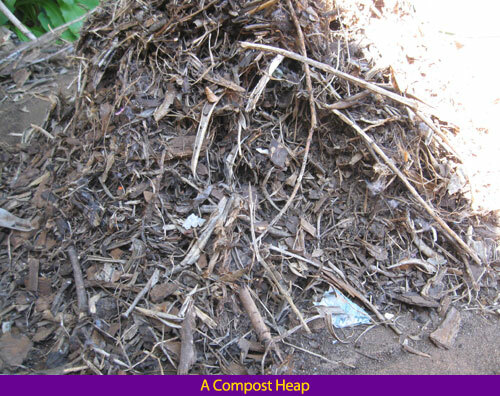 After a month or two the compost heap becomes a pile of crumbly, dark material called compost. The compost is then applied to plants as a fertilizer. The decayed plant and animal material in the soil. 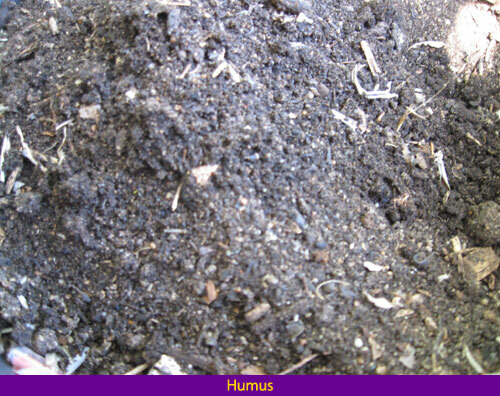 If compost is dug into the soil, it will form humus. 1) It improves the soil texture. 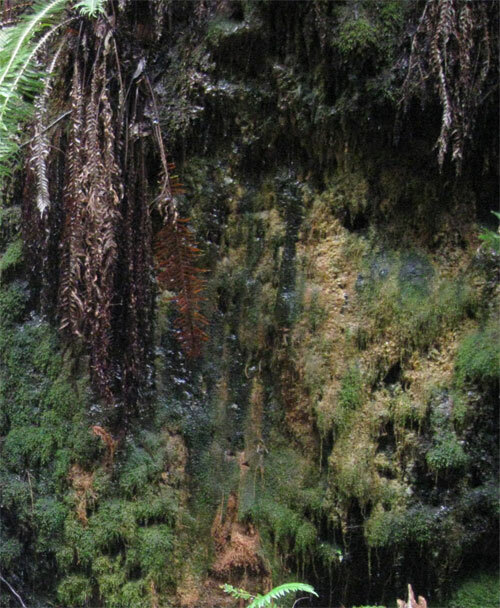 2) It slowly decomposes away to form mineral salts that plants can use as food.